iron man | "How Would You Fix...?" 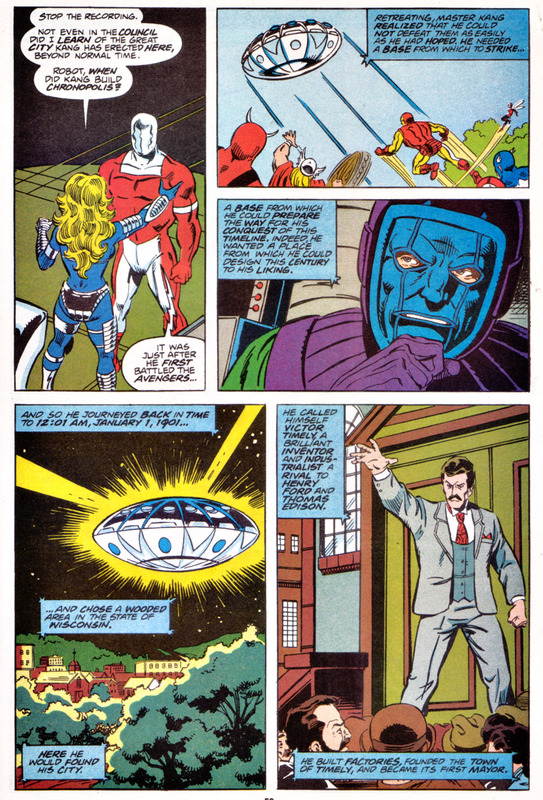 I always favoured that rather than being DOOM’s descendant, Kang was actually descended from Tony Stark. There have been some hints at this over the most recent years… particularly with Iron Lad being revealed as a young Kang. But think about it. 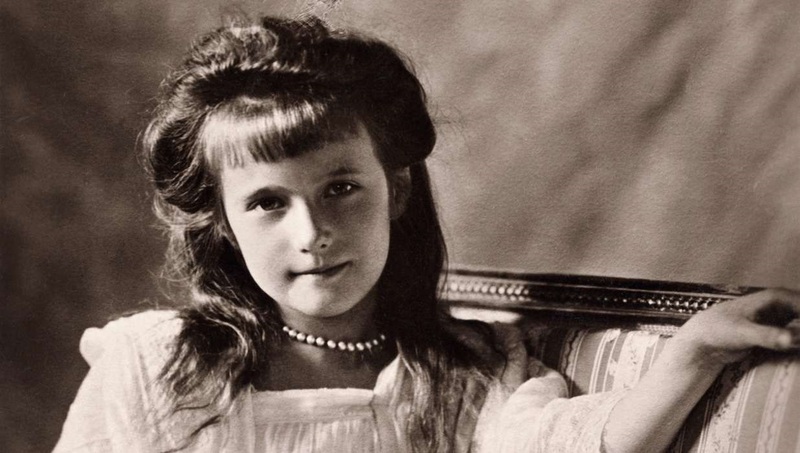 History frequently is lost to time. And sometimes history is rewritten by the victor (no pun intended). But what if Kang is actually derived from Tony Stark, the futurist, the visionary, and possessor of the armour that becomes Kang’s suit someday? 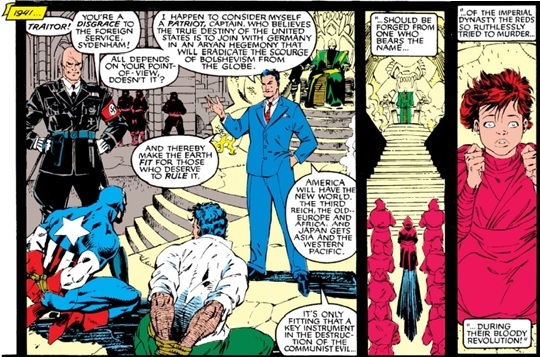 This would mean that by trying to keep the plans safe, Tony ultimately places them into the library where the man who would become Kang finds them… and believes it was developed or built by his ancestor…who is really Tony, but he mistakenly thinks is Victor Von Doom. 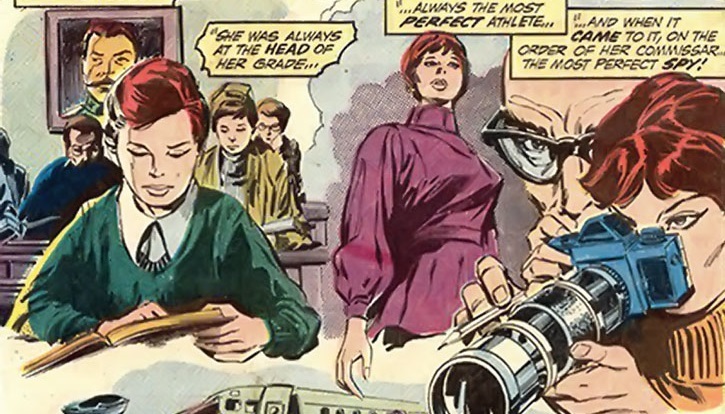 We have seen how marvel changes history, revises what we know, plays with the facts of births and deaths, and has shown us complete “Lost Generations” that were erased with a slip of time travel. 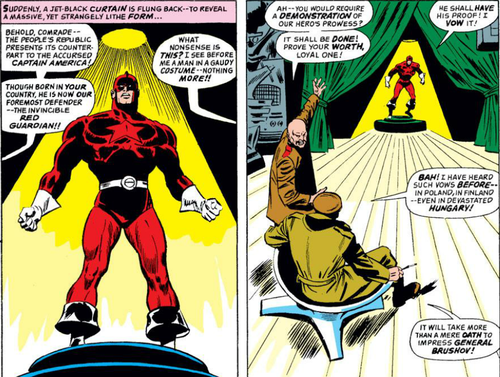 Why couldn’t this Marvel Silver age history be the result of time manipulation by someone (Kang? Tony? Doom?) to change the timestream and try to stop Kang from doing something awful in the future. 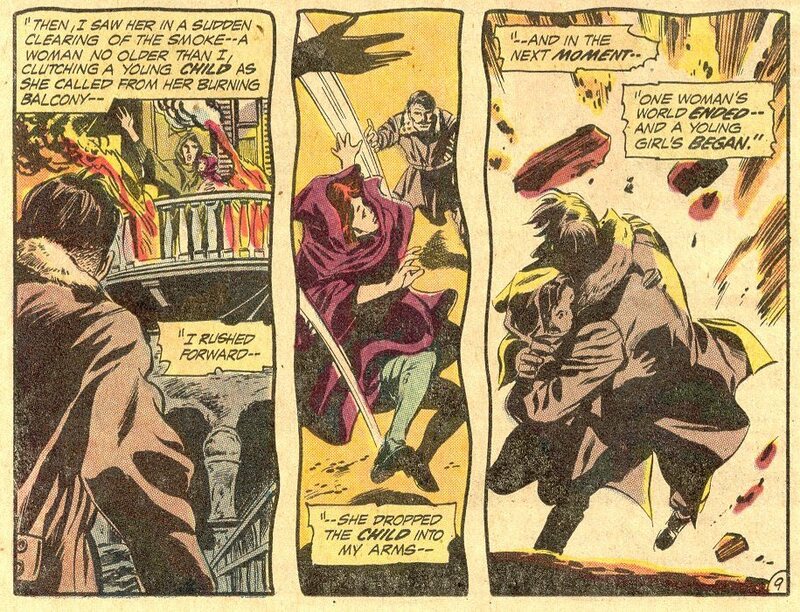 Look at all the references to time travel by beings from the future that inhabit the first 16 issues of the original Avengers. 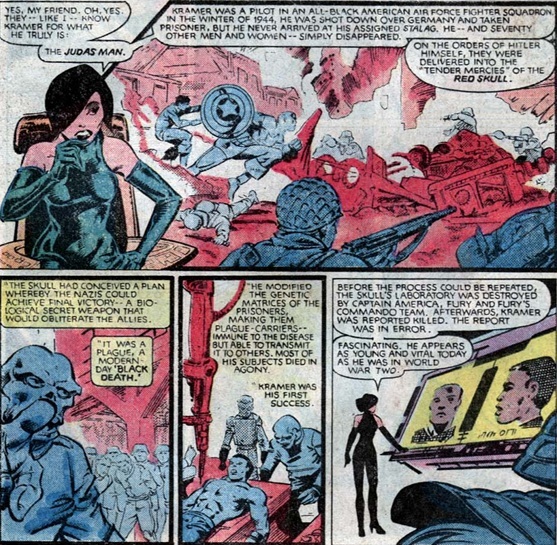 We have the Space Phantom, Kang, Immortus, some space alien medusa, an alien pig race, the Lava Men, Count Nefaria and the Masters of Evil under Zemo, with the Enchantress manipulating time. 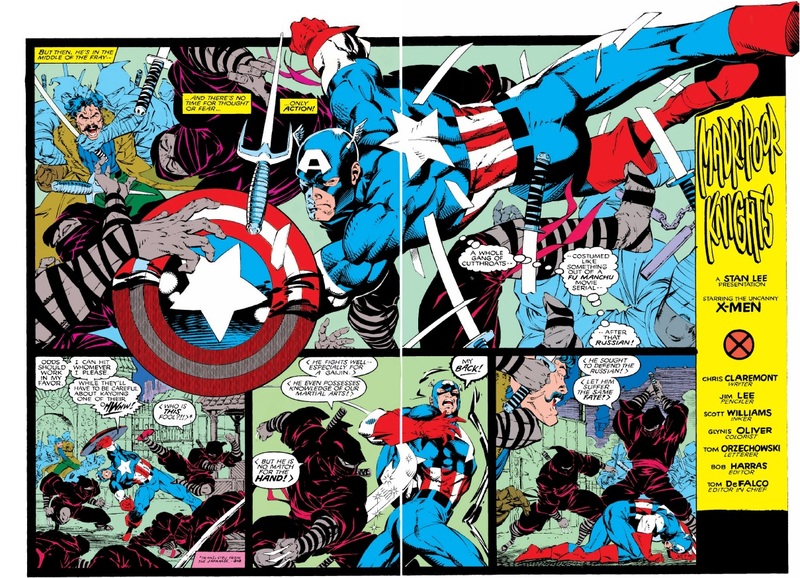 What if the original history of the Avengers never included finding Cap nor having the Hulk leave, and someone has sent time travelers again and again trying to disrupt Cap from being found or joining the Avengers. This would explain a lot of the time travel in this period. And it might explain why these guys keep attacking the Avengers over and over, but seem to stop about issue #15, with the death of Zemo and Cap taking over the Avengers. Then we have Kang’s supposed connection to Doom, which was tenuous at best. First, the ancestor wore a suit of armour. Two, he was technologically advanced. Three, he could afford lots of equipment. Four, we have seen that Kang looks A LOT like Tony Stark when unarmoured. 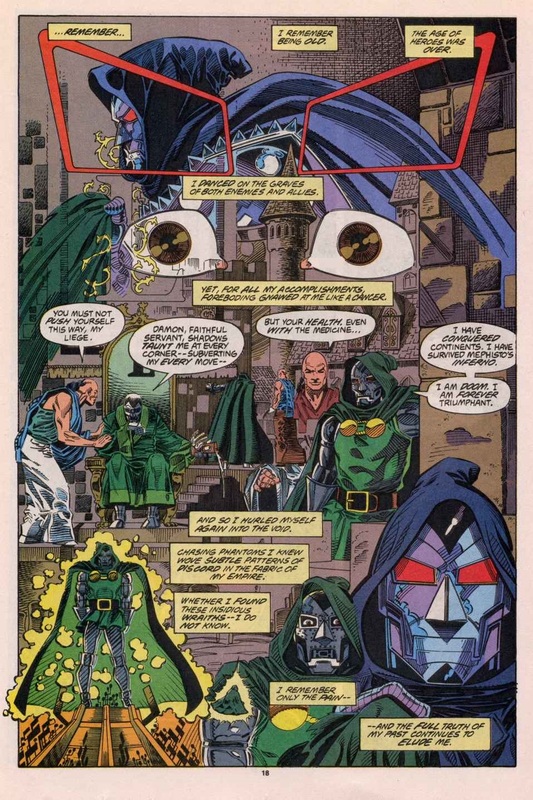 Five, if the ancestor had ARMOUR, it doesn’t follow that it has to be Dr. Doom…could have been Iron Man. Six, Tony has had several opportunities to acquire Doom’s time-machine. 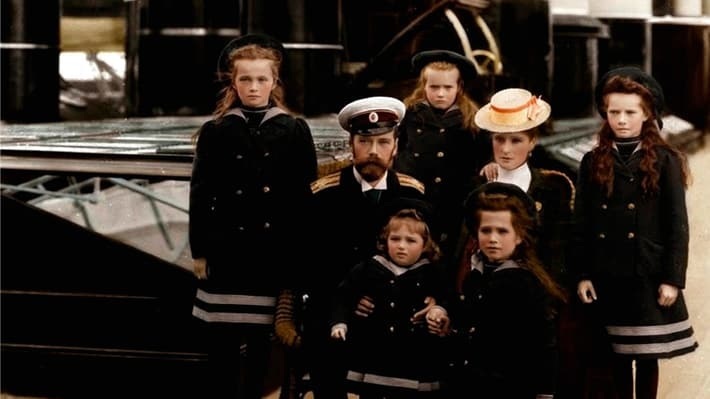 Seven, history may have made some confusion between two armour suited major figures of the 20th century over the years. Eight, Tony is the designing futurist who builds toward the future. Think about it. 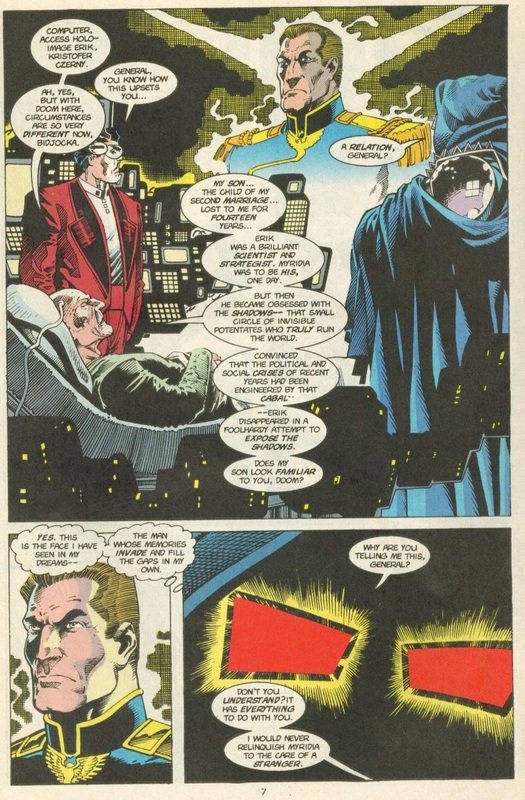 It makes more sense that Kang is a descendant of Tony than Von Doom… though the confusion could be understandable after years of dark ages between our time and Kang’s future. Plus, when unveiled, Kang looks a lot more like Tony Stark than Dr. Doom when un-suited. 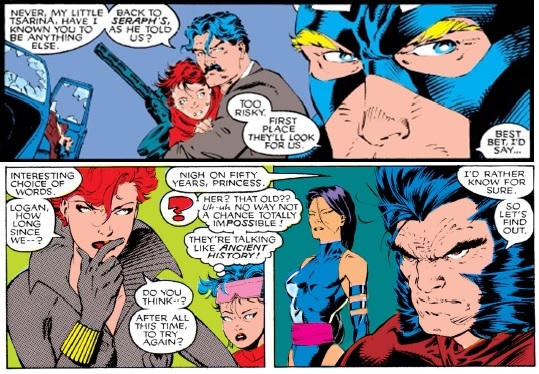 Also recall that when Kang is really serious about conquest, he’s tough to beat, but when he’s fighting the Avengers he holds back, trying to make it more competitive, because he admires them so much. Could this be further evidence that he is in fact Tony Stark? 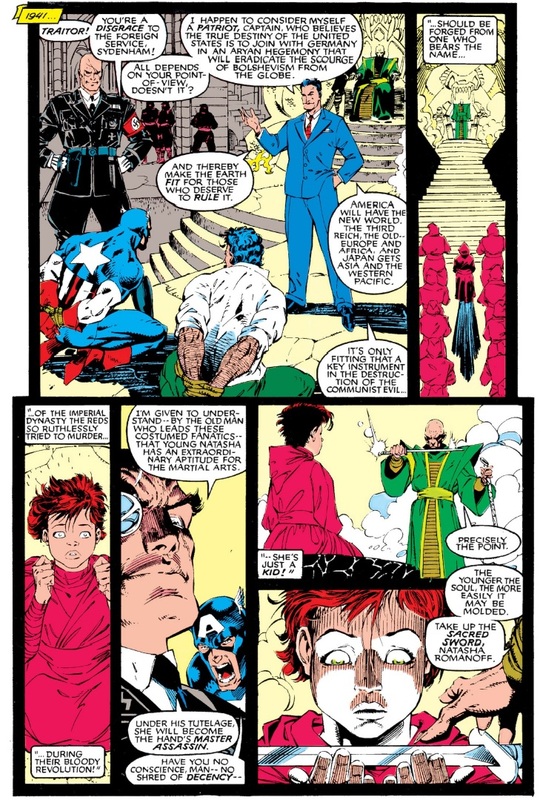 I would further posit that the stories of David Michelinie & Bob Layton teaming-up Stark and Doom may provide a clue as to how Tony becomes Kang. 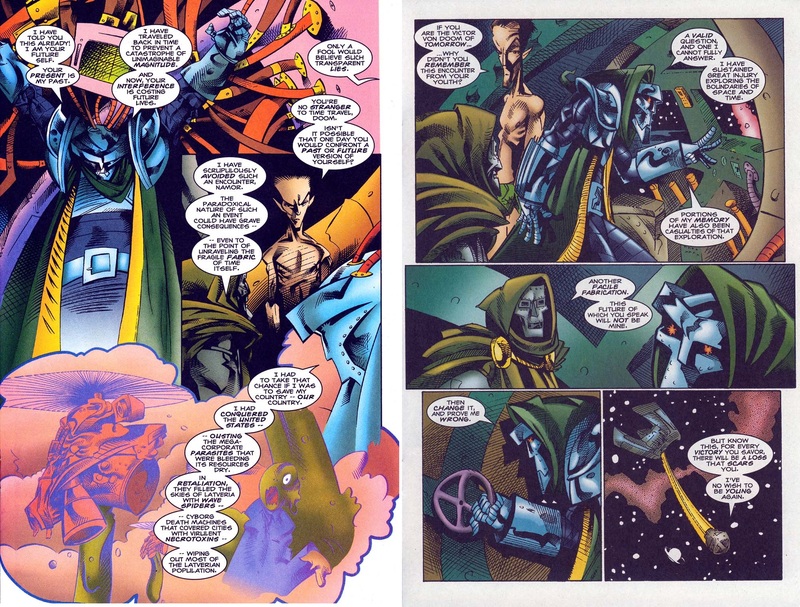 During one of these adventures did he manage to obtain Doom’s time-machine and reverse engineer it, beginning his interest in time-travel leading to his eventual transformation into Kang? Given these adventures it is also interesting that upon becoming Kang he sets about conquering Camelot. What for I’m not sure but the implications are certainly interesting. 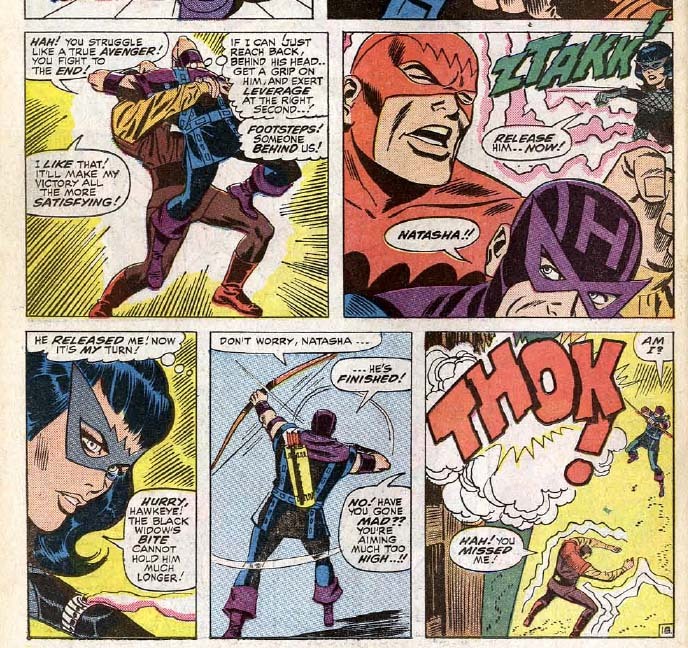 Also recall during the Crossing the mystery door in the basement of the Avengers Mansion only able to be accessed by Kang. This to me might be explained by the fact that of course he could come and go from Stark’s mansion as he pleased if he was the future version of Tony. I would further posit that Kang being Tony Stark is evidenced through Kang’s front-organisation, Timely Industries. For reasons never fully explained, Kang decided to conquer the 20th Century by gradually increasing the technology levels of civilisation. Wouldn’t it be ironic if Stark, previously attempting to prevent others from getting hold of his technology (i.e. 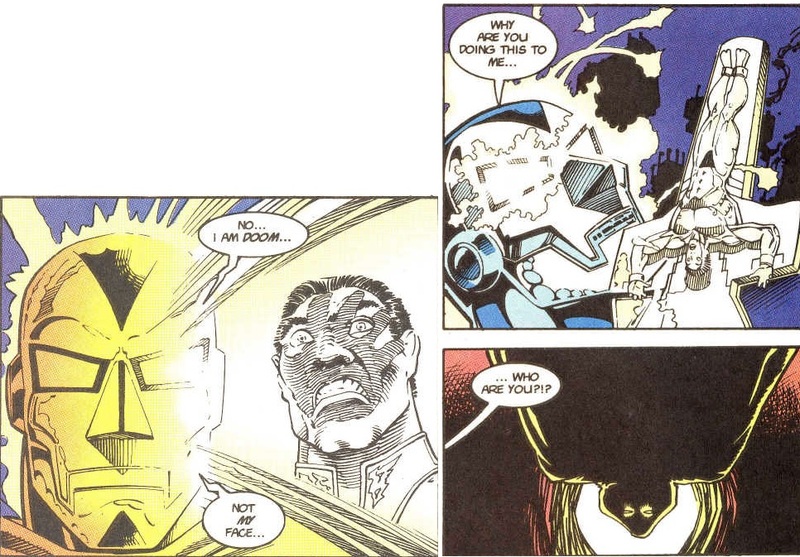 Armor Wars), later changes his mind and begins introducing components which made early, rare, atypical advances possible – such as components which Horton used on his Human Torch. Even decades later, Ultron was unable to manufacture duplicate components, and allegedly had to create the Vision from Horton’s spare parts. 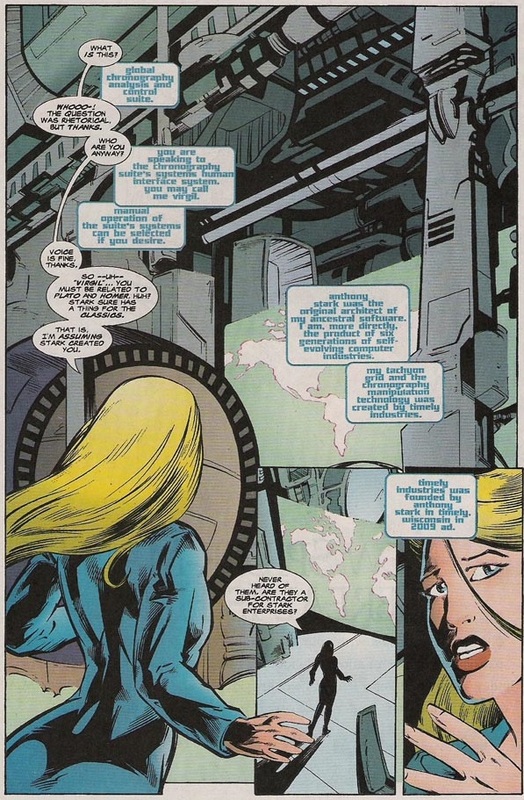 Reed Richards even said he had used parts from Kang’s company for his inventions (perhaps for breaching the Negative Zone where Stark would later set up his prison). Timely had been nudging Marvel’s technology forward since 1903! I remember Hank using ideas from the Dragon Man for Ultron, which would seem to suggest Dragon Man was based on Timely technology. In fact, to hear Kang tell it, EVERYTHING cutting-edge technology-related is a Timely product. 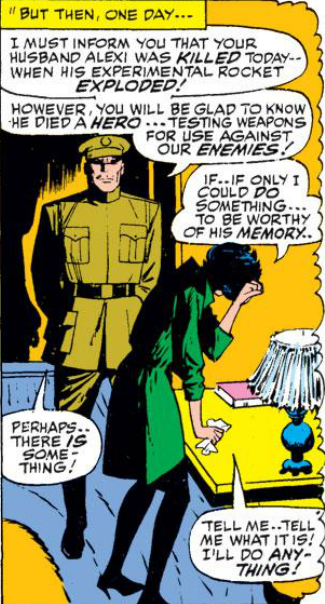 As for Kang’s interest in Mantis, do you think Tony came to understand her importance while he was stationed in Vietnam? Did Tony stumble across the temple of the Priests of Pama while there? How To Reveal It: Discovering his technology within the Vision, Golden Age Human Torch and Dragon Man, Stark steals Doom’s time machine to travel back in time and investigate Timely Industries. During this story he runs across Victor Timely suiting up in Kang’s armour to fight off a number of ?. When he sees Stark he gets distracted and is killed by his assailants. 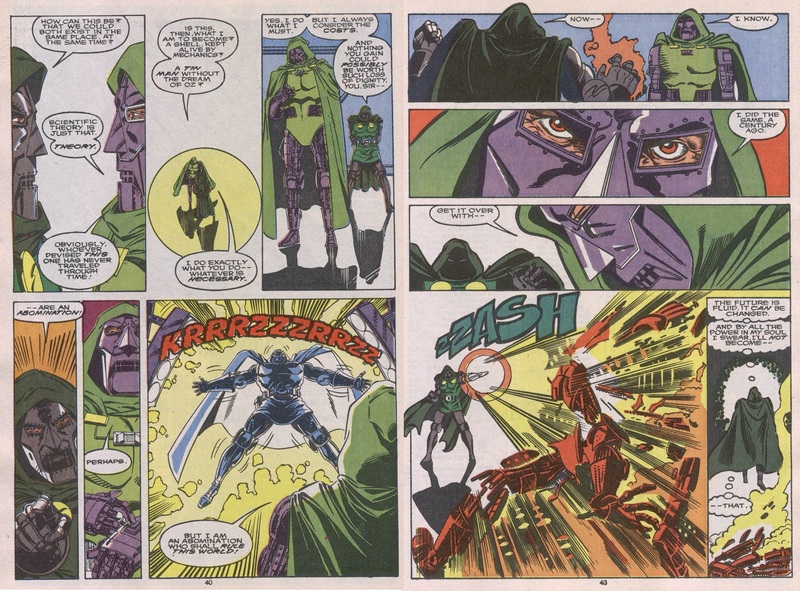 The assailants then leave via Doom’s time-platform and Stark unmasks the dead Kang to recognise an older version of himself. 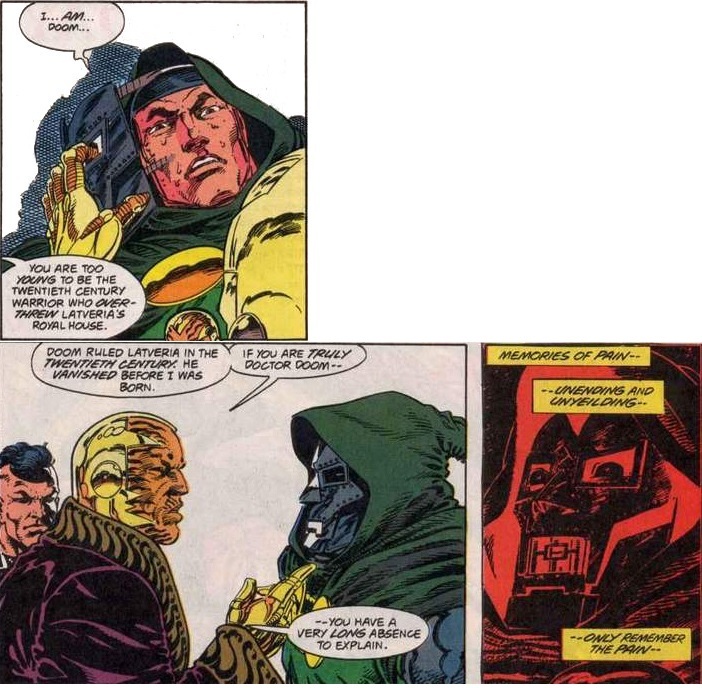 Then trolling through Timely’s records he discovers that Kang has been attempting to build an empire to prevent Victor Von Doom performing a black magick ritual that will unleash creatures from the Outer Dark throughout time. 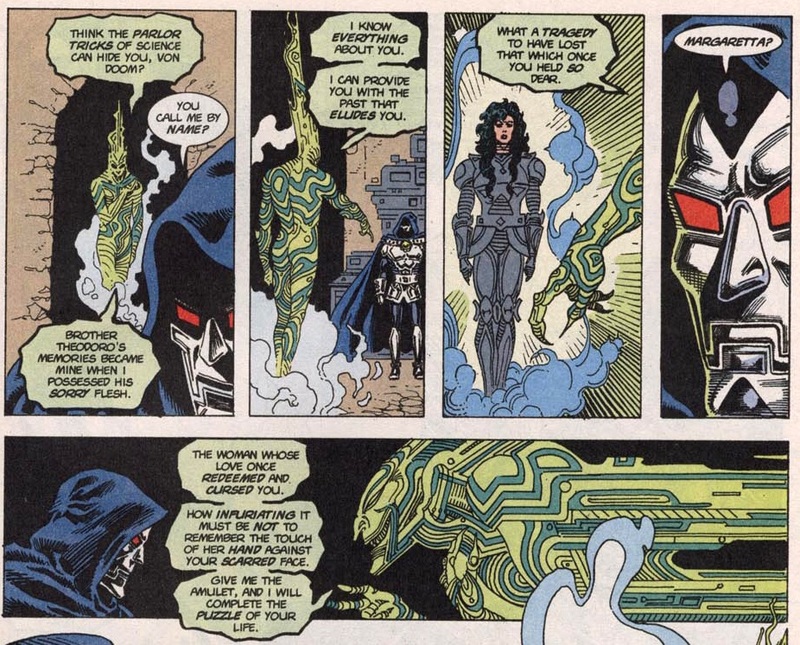 In an effort to perform this ritual Doom forges an alliance with Morgan Le Fay, hence why Kang travels back in time to prevent this from happening by conquering Camelot. Realising that the only chance of preventing this impending “doom”, Tony realises he must don Kang’s armour and carry on his mission. 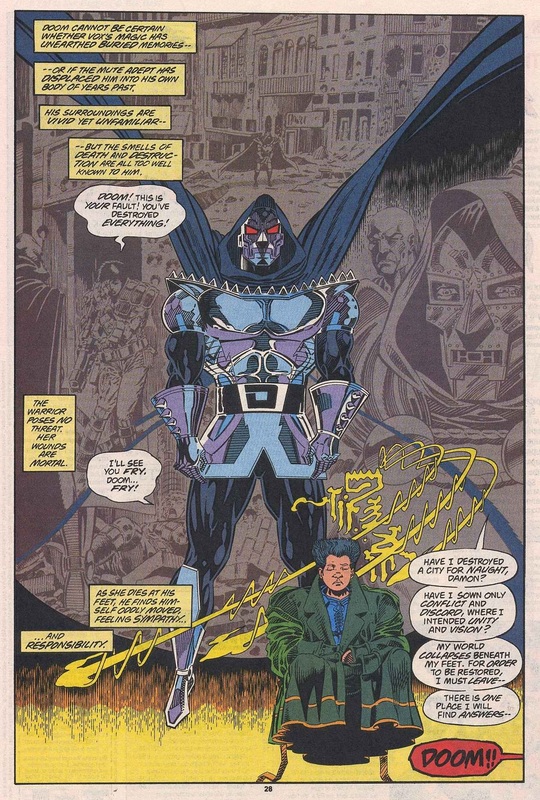 The tale would be akin to the 1991 DC Annual storyline where Hawk is compelled to become Monarch. 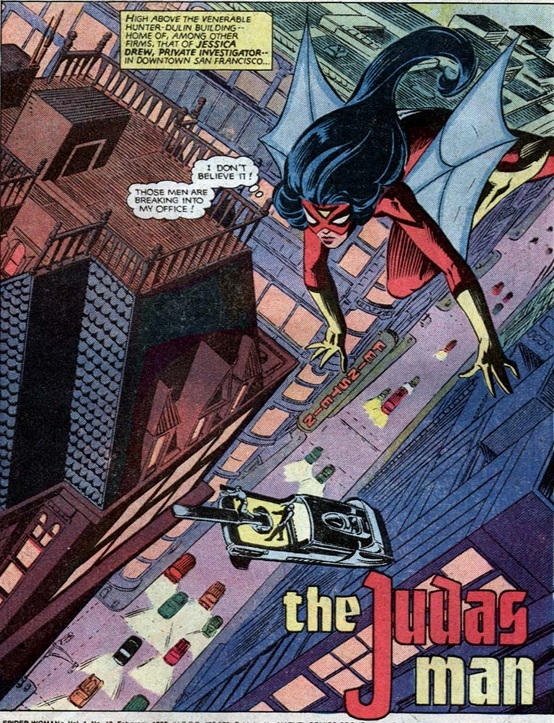 To support my above theory, I’d further point to another unresolved plot from Force Works #18, a chapter of The Crossing storyline (the gift like the Spider-Clone Saga that keeps on giving) constructed in 1995 under the auspices of then-Avengers group editor, Gruenwald, which has Suzi Endo and Rachel Carpenter (Spider-Woman II’s daughter) discovering temporal radiation emanating from a previously-unknown sub-basement containing Virgil, a “global chronography analysis and control suite” created by Timely Industries, a company founded by Tony Stark in 2009. 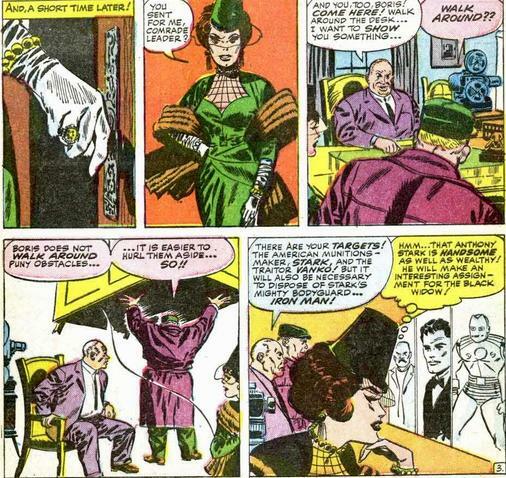 “Victor Timely” was one of Kang the Conqueror’s aliases from the early 20th Century. That is, in Avengers Annual #21, written by Gruenwald, Kang journeys back to January 1, 1901 to found the town of Timely in Wisconsin under this same alias, slowly releasing technological innovations through Timely Industries. If Timely Industries wasn’t founded until 2009, it must have been constructed in numerous time periods at once, an anachronism back in 1901 too. While this is somewhat head-exploding, the corollary that should really bake every continuity nerd’s noodle out there is that Mark Gruenwald not only had KANG THE CONQUEROR revealed to have founded Timely Industries but had TONY STARK revealed as founding this same company. 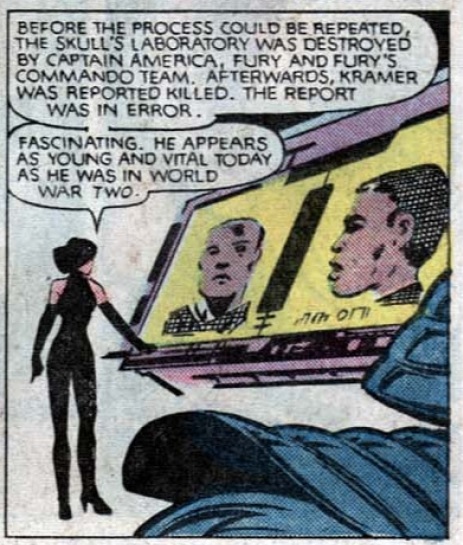 Gruenwald, whose particular remit was keeper of continuity never made these sorts of errors so he must have intended to retcon Kang’s identity as Nathaniel Richards and reveal that Tony Stark eventually goes on to become Kang. The question then becomes if Tony was so obsessed with preventing people from using his technology in Armor Wars, why would he then go to the trouble of going back in time to foment Marvel’s technological revolution from 1901? Interesting if Tony Stark was intended as Kang, interesting that Tobias goes back in time and kills his parents, thus closing the loop. This would seem to suit Mantis’s motives if wanting to end up with the Vision, but I doubt Kang would support such a venture! 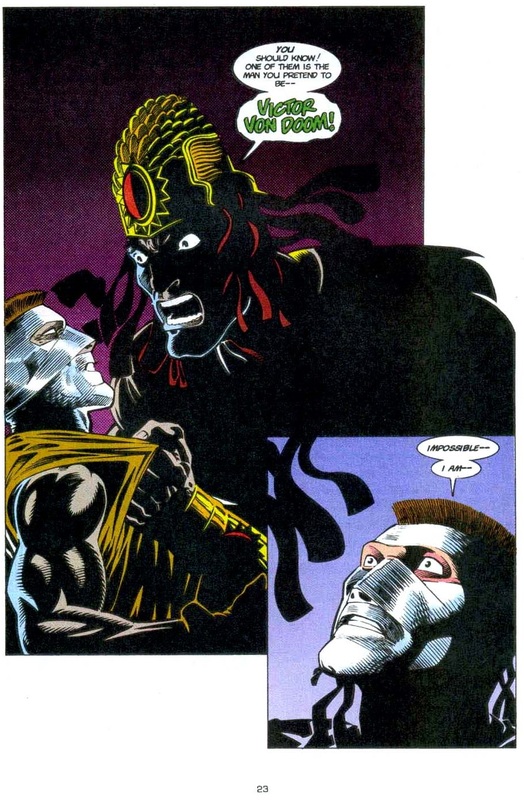 Then going back to the original Celestial Madonna saga, this might suggest that Immortus had manipulated Vision to spurn Mantis so she would marry the Elder Cotati and produce a child he could manipulate in opposition to Kang. Also love that the possible implication of Vision merging his body with Teen Tony during the conclusion in an effort to heal him leads to his going on to become Iron Lad. 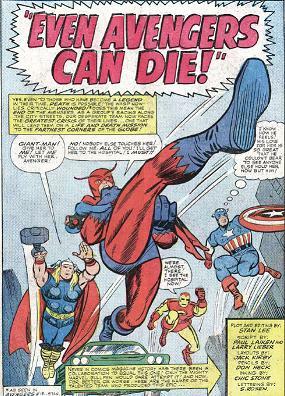 There are a number of theories floating about on Hank Pym’s behavioural problems. 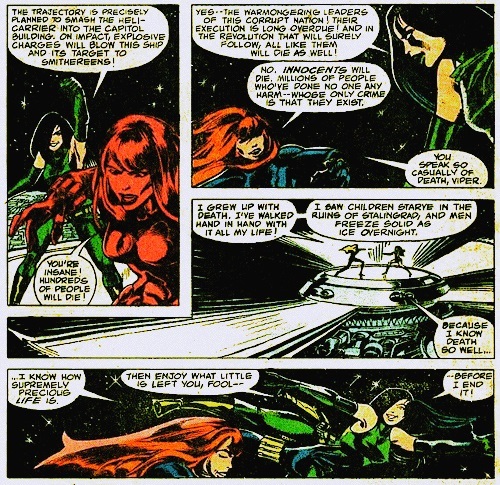 Those problems are observed as far back as Avengers #13. 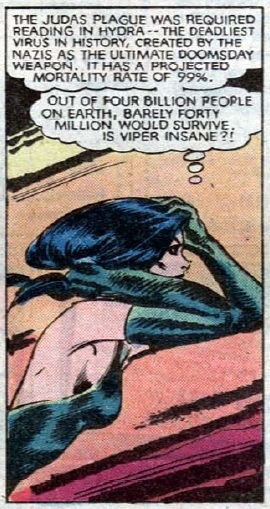 At the start of the issue Janet Van Dyne was particularly bright and perky, but by the end she almost died. 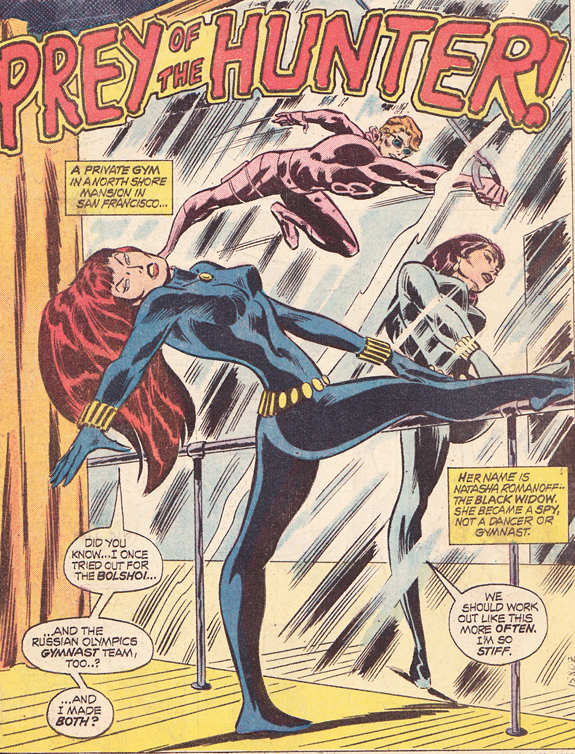 Avengers #14 featured the team hunting for a cure for her injury, with Hank on the edge of insanity. 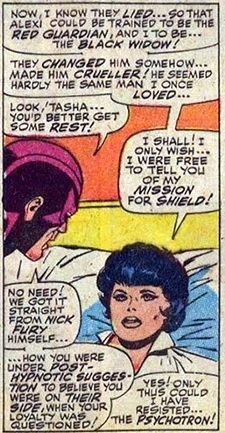 A few issues thereafter Hank and Jan quit the team. 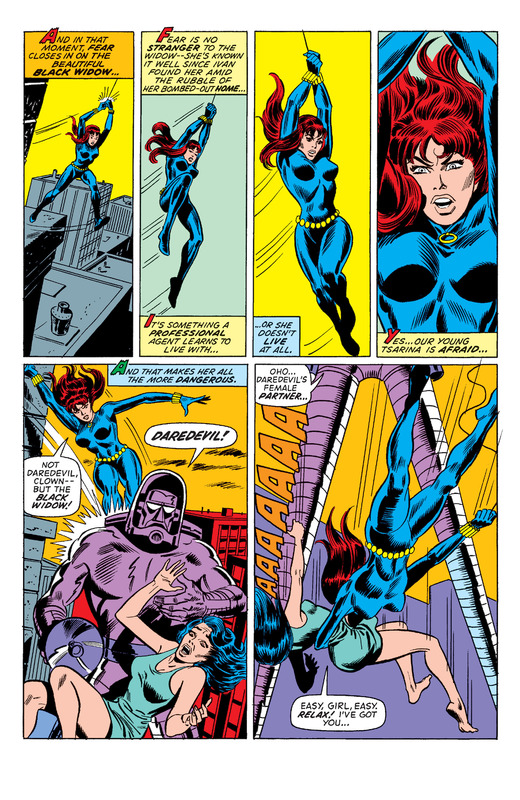 While the events of Avengers #14 were used as evidence for Hank’s mental instability, since Giant-Man was in turns despairing, petulant, and angry, some fans suggested Jan was pregnant at the time of her injury and lost the child as a consequence of the shoot­ing. 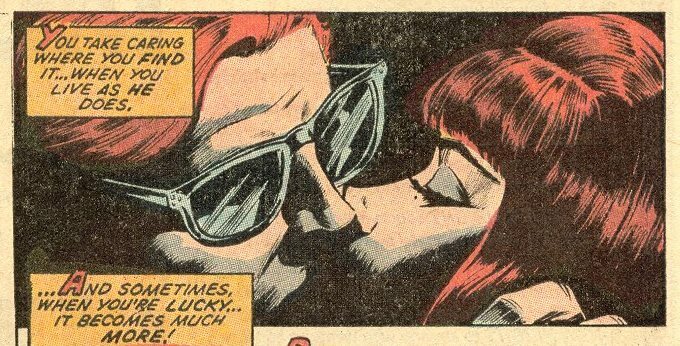 Further speculation holds that this may have led to Hank’s mental problems and feelings of inadequacy. The event fits well with the mysterious creation of Ultron as a surrogate child. So this makes a great explanation for Ultron and Hank’s mental state, but problems need ironing out for this possibility to work. 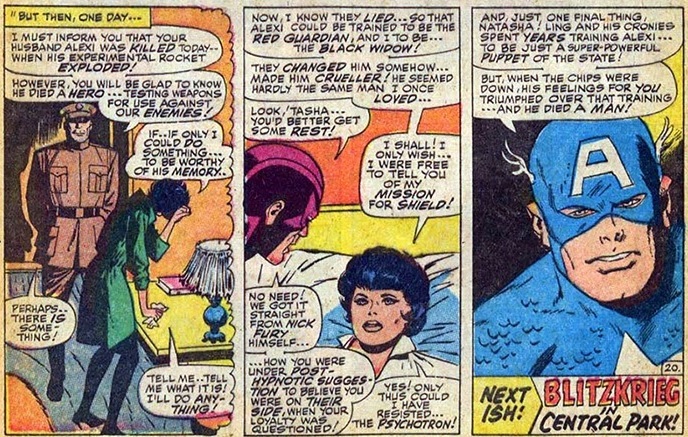 This idea that Hank and Jan’s unborn child had his brain wave patterns impressed on Ultron’s programming is possible. 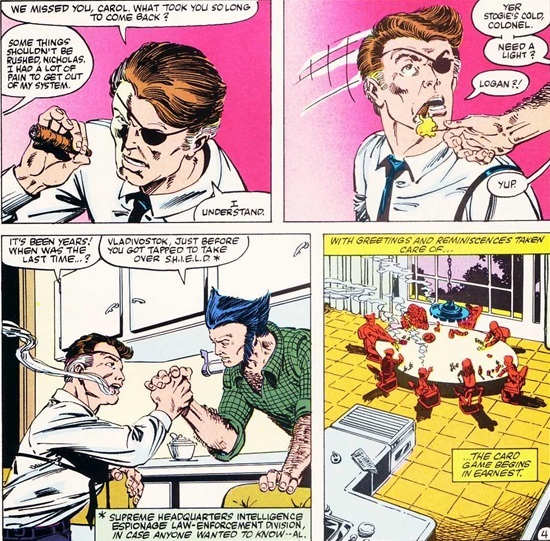 So, say Hank had that unborn infant’s patterns around, and in a fit of despair, used them for the mind of his robotic “child.” Ultron, on becoming conscious, would have processed environmental stimuli, and using super-fast processing time, all the data in Hank’s computers, faster than a normal biological infant. It explains why Ultron hates his father and loves his mother. If Hank dictates a personal log into his computers, Ultron would know Hank blames himself for the Wasp’s injury and the loss of the baby. Ultron could believe his own father “murdered” him, while hurting his mother. It’s safe to assume that process of “empowering” the Wasp happened quite often, and it was accompanied each time by a full physical done by Hank, aided by scanners of Hank’s invention more sophisticated than you’d find in a doctor’s office. Hank would want to know what was going on in Jan’s body down to the very last DNA strand before he played around with giving her insect super powers, or even “charged her up” each time. Obviously, then, Hank gives Jan a super power treatment after he knocks her up, then his scans show she’s pregnant. He would know it quickly. 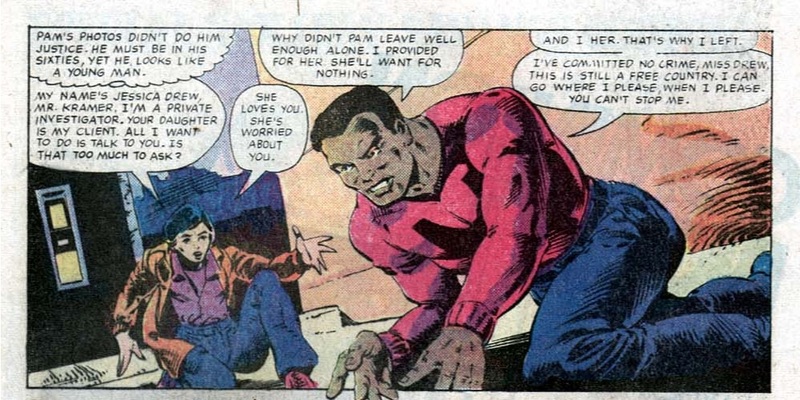 Here’s where the guilt that turned Hank eventually self-destructive comes in: He didn’t tell her. Why? Because Hank’s a schmuck. He wasn’t sure it was his, and he couldn’t tell her that, either. So does Schmuck Hank with No Self Esteem propose? Noooooo. He tries to determine the baby’s paternity. And does Hank create the world’s first DNA tests back in 1963? No, he uses brainwaves. Which is why he took the opportunity to grab a dying man’s brainwaves, so he could study them. 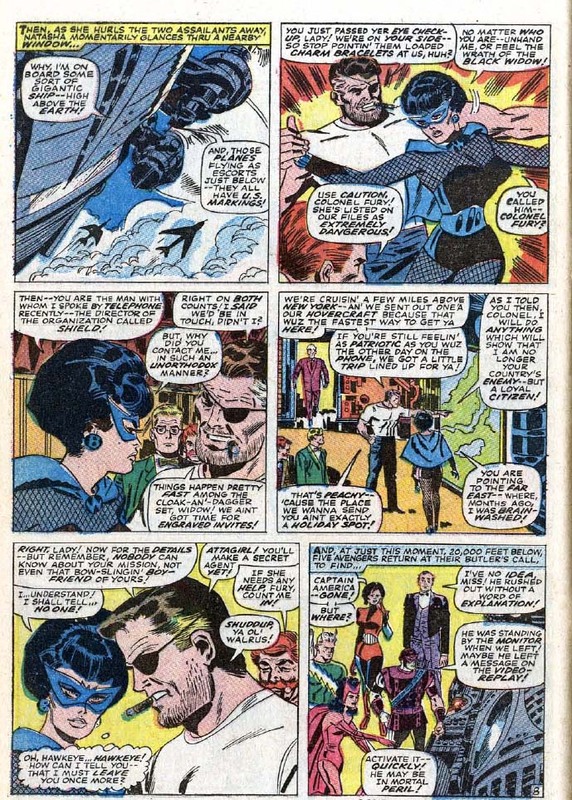 Eventually, he found a way to study his own brainwave patterns and Jan’s, by comparing them to Wonder Man’s as a necessary, unrelated third pattern. He recorded the fetus’ brainwave patterns, and established that, indeed, it was his and Jan’s child. And before he could tell anyone about it, Jan got injured and lost the baby. Imagine the torment. Because he doubted the fidelity of the woman he loves, and because, well, he’s a jerk, there’s no denying it, he withheld crucial information. Had Jan known she was carrying Hank’s child, she would have put herself on inactive status, the baby would have been born, she and Hank would have married for positive, healthy reasons instead of that sick Yellowjacket situation, and Hank would have never turned into the neurotic mess we all knew and loved, and they would have a biological child by now. He can never, never, never admit to this. He may be so far in denial (and had so many psychotic breaks) that he no longer remembers it. It was a huge step to admit that he used his own brainwave patterns for Ultron’s mind, but even that’s not the truth. The truth is much darker. 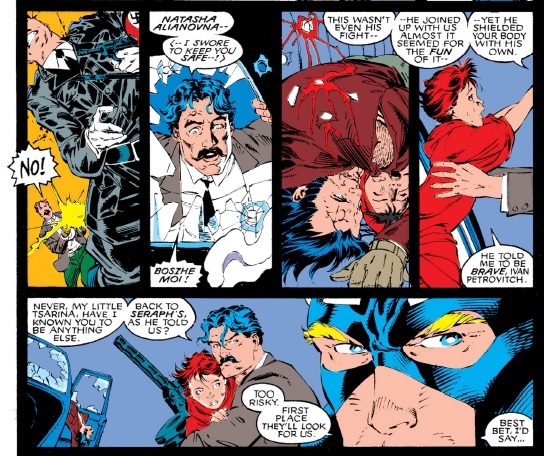 Ultron is Jan and Hank’s child, twisted and sociopathic. If Hank knows that, he will never let Jan know it. Most likely, however, he doesn’t know it. Ultron must know it, and that’s why he taunts his father by calling him “dad.”But Ultron also will never admit to it, because Ultron doesn’t want to admit he has any ties to real humanity. For Ultron to ever admit that he is Jan and Hank’s unborn son, transplanted into robotic form, would be enormously humiliating. He’d have to be forced to do it, and there’s no way to put that kind of pressure on Ultron, since he can’t be permanently killed. So neither he nor Hank will ever admit to this dark secret, that they really are father and son, and Jan really has a child with Hank, one who wants to kill every last human being on the face of the planet, as well as every other form of biological life. 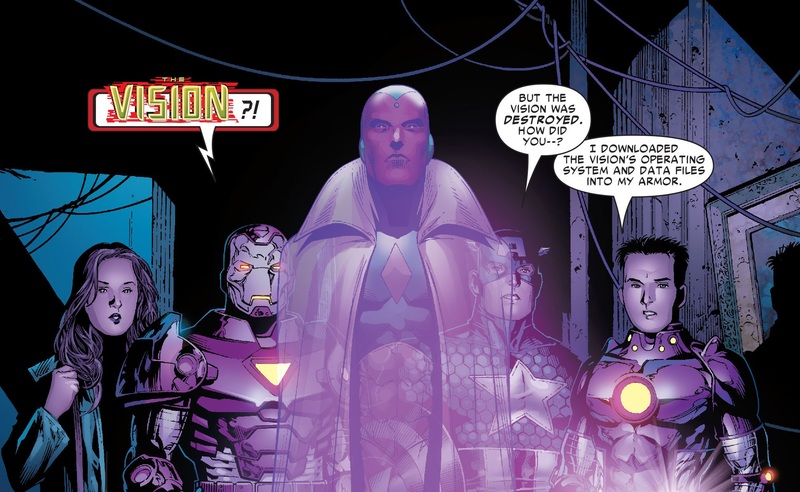 This post first appeared as my contribution to Assembled!2: Earth’s Mightiest Heroes and Villains, appearing in Part 2 of that volume as Ultron as Pym’s True Son. You’ll adduce from the above my dislike for Hank’s later psychotic break and spousal abuse of Janet. 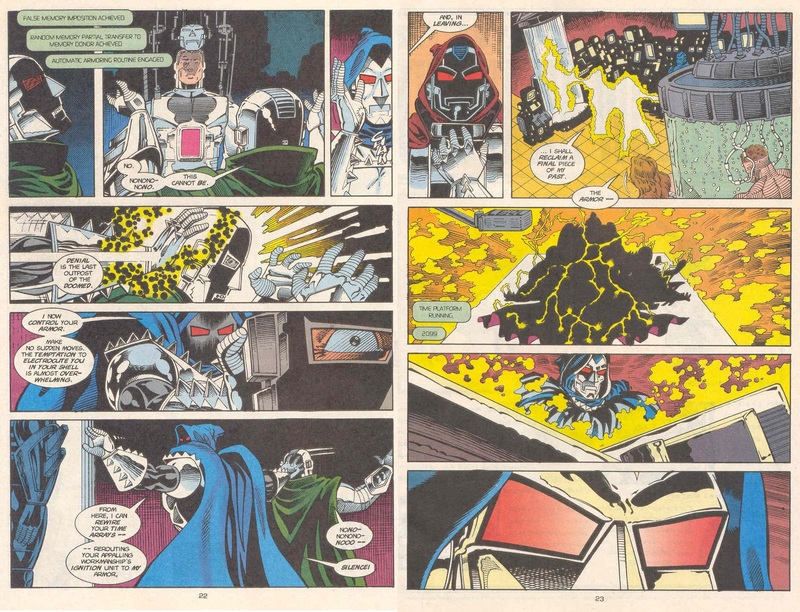 I can’t see why no one up until now has attempted to reveal it as just another scheme of Ultron’s, akin to his mentally controlling the butler Jarvis when in the guise of the “Crimson Cowl” (Roy really did do the definitive Hank didn’t he)? 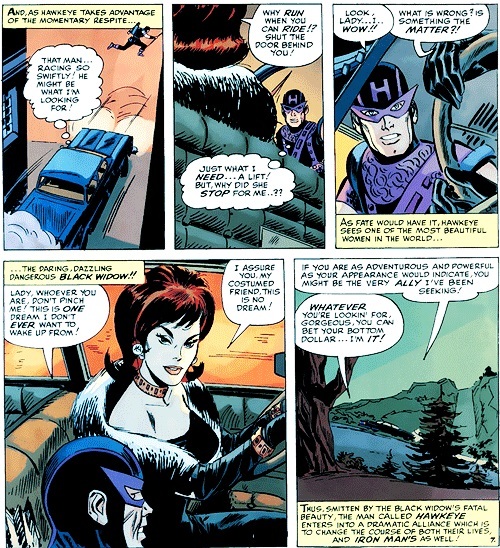 Shooter himself even had Pym brainwashed to kidnap the Wasp so she could be converted to a metal mate for Ultron in 161. Christ, Justin Hammer had his scientists working over a long period of time to figure out a way to control Iron Man’s armour remotely so what is so hard to believe about a robot with an Oedipus Complex scheming to make its “father” fall out of favour with its “mother” so it can step in and become the “surrogate” husband? This to me would seem to be the best, and simplest, way to redeem Hank and it gels with previous continuity. Just reveal it and then move forward.